How to teach toddlers, preschoolers and kids of varying abilities and special needs rhythms, floor exercises, large motor skills, expressive dance, kinesthetic mini-lessons, and full dances. With many photos and illustrations, a fun way to build up essential early skills before kindergarten. Basic lesson plan included. 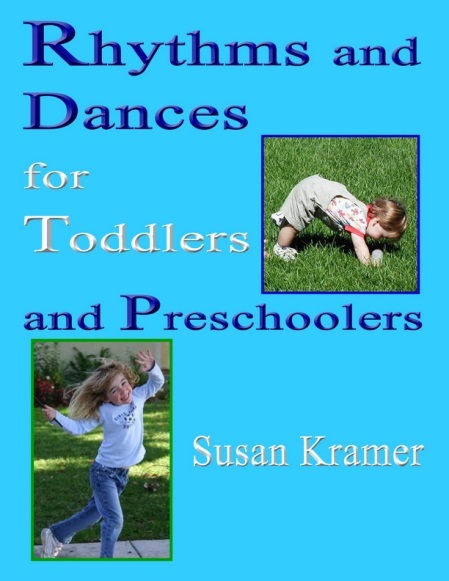 Perfect for homeschoolers, dance instructors, and early childhood education teachers. About the author - Susan Kramer is a graduate of Peabody Institute Dance of Johns Hopkins University, and has been a dance specialist since 1965. Content Copyright Susan Kramer 2005-2017. All Rights Reserved.